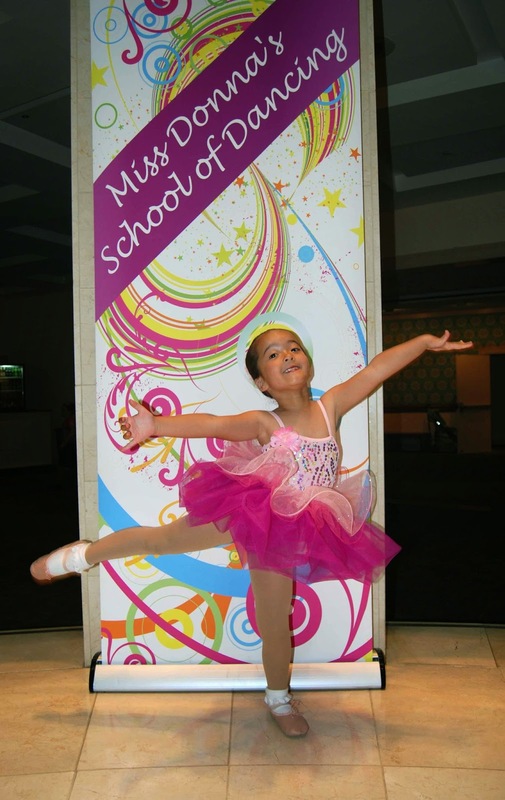 This past weekend was the culmination of Katy's first year in ballet at Miss Donna's School of Dance. 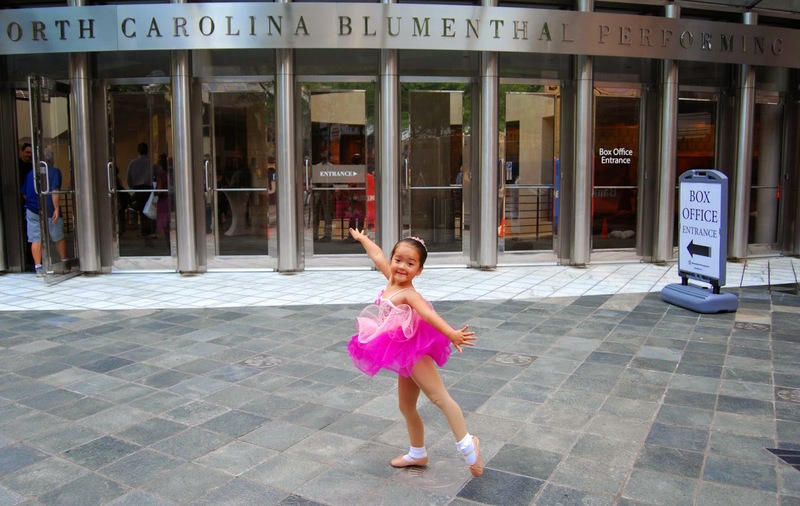 She had her first ballet recital at the Blumenthal Performing Arts Center in Uptown Charlotte. 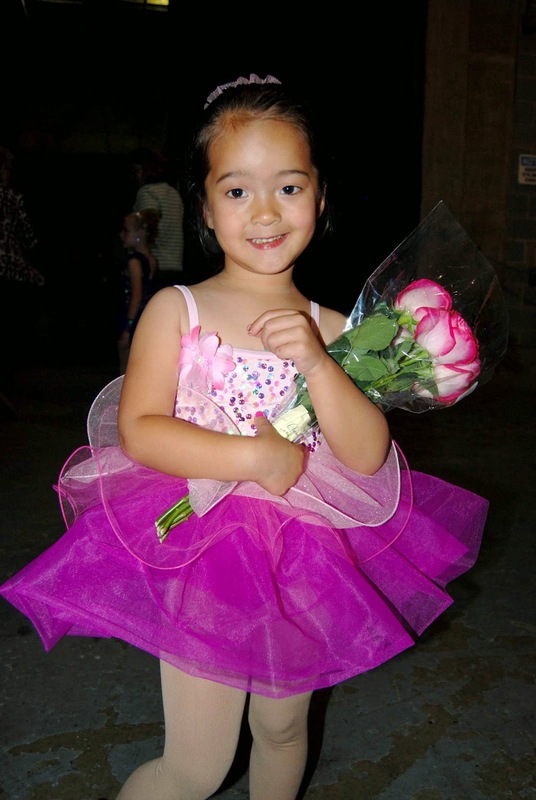 Lil' Miss has always loved to dance around the house, but the end "reward" of getting to dance on stage in a hot pink tutu has definitely sealed her love of dancing! Katy had a blast getting dressed up, wearing some light make-up and getting her hair done up in bun (thank you, Pinterest for the "sock bun" idea!). Katy's class danced to "Fairytale Ballet." Once they actually got on stage, Lil' Miss was actively looking for us in the audience. She was shading her eyes, looking out into the crowd (when she should have been dancing). She did a good job, though, and everybody thought their dance was cute (Little girls, tutus and all that goes along with that- what's not to love?! I'm not biased at all... ;-). She's learned a lot, this past year at dance. She loves to show us her arabesque, plie and releve. She definitely prefers ballet over tap. Also, going to ballet once a week has helped her learn to work as a group, follow directions and go out and do something apart from Ted and I.
I believe it's safe to assume that we'll be returning to Miss Donna's in the fall....!